It is true that for “dig a well in the desert with a needle…” must be “very weird” and I do not think it could have any similarity with being “arénophile”, passionate about the sands of the world. All this is humorous and has amused me. The first sentence of this report writing OGOULBIBI AMANNIYAZOVA Marias in the online journal RUSSIAN OBSERVER of 15 December instant, obviously calls to read the rest of the article. This report has been made in Cavalaire during my show last summer and so my thanks go to the author of course I also for Ms. Elena Iakounine Editor and Mr. Mikhail Iakounine publishing director for’ have published what is sure to interest our readers. A link will give you access to the end of the article in the online journal. A translation is possible by clicking on the French flag at the top right. "Dig a well in the desert with a needle" - this expression does not go out of my head, while I was talking to Bernard Remo (Bernard Remaud), sand collector. Collecting stamps, Cards, kalendariki, Bells, Cameras - all this is now clear. But collecting sand? What a whim? Who can that come to mind? It turns, there are people, and their passion called arénophilie. To tell the truth, this arenofilov around the world is not so much. 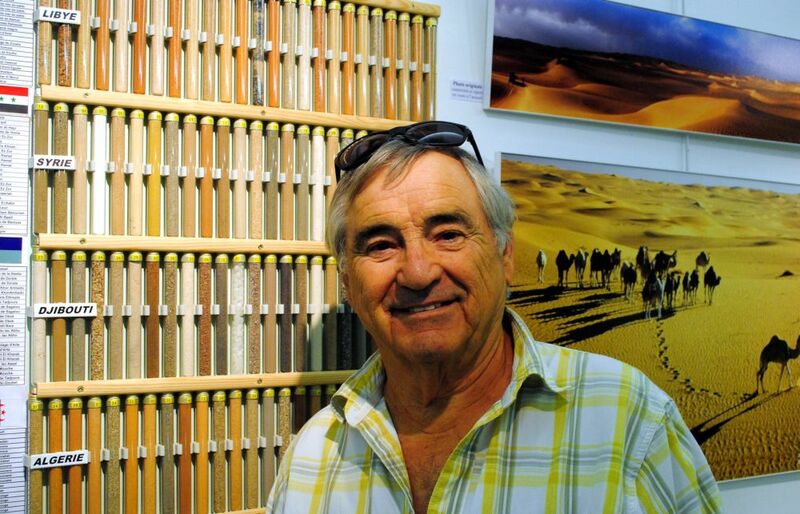 Bernard Remo with his collection of several thousand types of sand from around the world proved, it insanely interesting occupation. 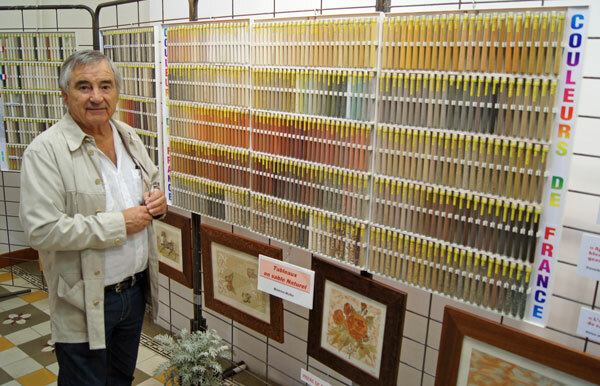 Recently in Cavalaire-sur-Mer (Cavalaire-sur-Mer, Var) ended with an exhibition of his collection. For three months, that lasted exposure arenofila from Hyères (Hyères), it caused great interest and became a sensation for many. I was lucky, I went to the library Cavalera, where the collection was exhibited, on the day, when Bernard Remo was present and answered questions from visitors. In the spacious hall were everywhere glass cabinets, stands with transparent tanks of various shapes: tube, cup, vessels were filled with sand of different colors and configurations. It was still possible to admire the magnificent desert landscapes photos, beaches. There were also various objects out of the sand, shells, sandy rose, volcanic stones. You could even see through the big magnifier on the sand and scanty foraminifera, so called protozoa, living on the seabed. The most amazing thing - it photographs of different sands, increased if a giant magnifying glass. Thanks so convinced snapshots, as a handful of sand is different from all other. 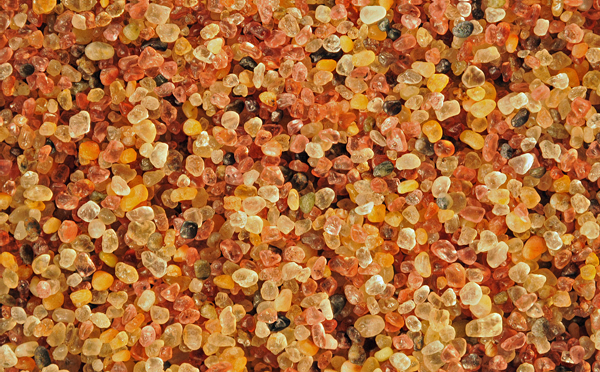 Grains of sand under a microscope look incredibly picturesque, sometimes, I would even say, appetizing. From the collection of Bernard Remo | Part of the collection of Bernard Rеmaud. Photo: Ogoulbibi Marias. - Tell, please, how it all began? What sense is there for you, your collection? - Began, like everyone else - traveling in the Algerian desert, wanted to take a souvenir, took with him a handful of sand. Of the next trip again brings sand. Then, watching him closely, see, how handsome he, thin, elegant, sometimes sensual. And then you start to collect because of its beauty. It so happened, that each of my trip, and I loved to go on holiday in deserts by jeep, began to bring the sand, puts it in a bottle, to label with the name of the place, date. Gradually simple admiration turned into a passion. Here you see 3 700 types of sand, and at home I have twice. And when I retired years 10 back, I had time to really do a collection, issue, stands and do the most important thing to photograph. That, shortly before retirement one of my friends told me about the association arenofilov. Through this association, AFA, I was able to collect almost sands from around the world. I liked the basic principle of association - the sand can not be sold, only exchange. 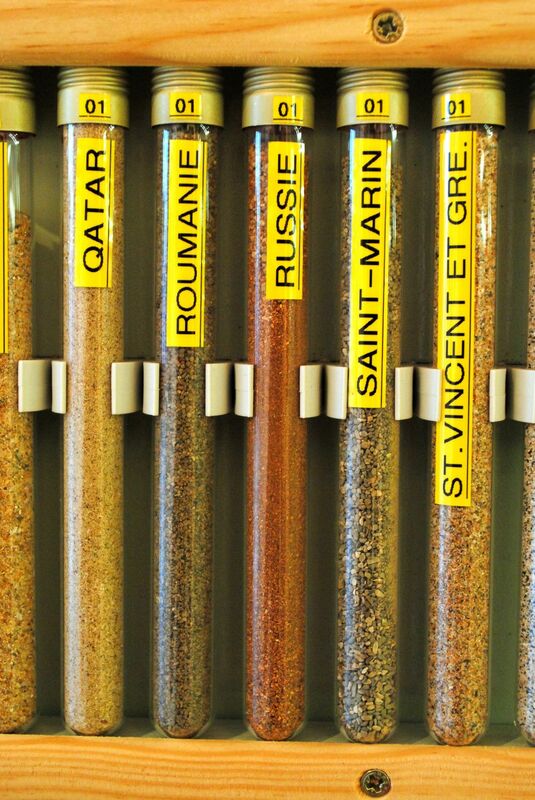 When collecting stamps, Cameras or champagne corks, they have rates, and the sand belongs to all. Collection helps me to travel around the world, of course, only in dreams, Sands eyeing from different countries. When I get someone from the sand, I know, whence, of what exactly the place he came - from the sea or the beach from the ocean floor, from the river bank or from the desert. With the help of the internet I'm looking for this point in the world, and with the help of Google Earth, you can even see this place exactly. More, when you collect, you meet with people, who are interested in the same, and that you. 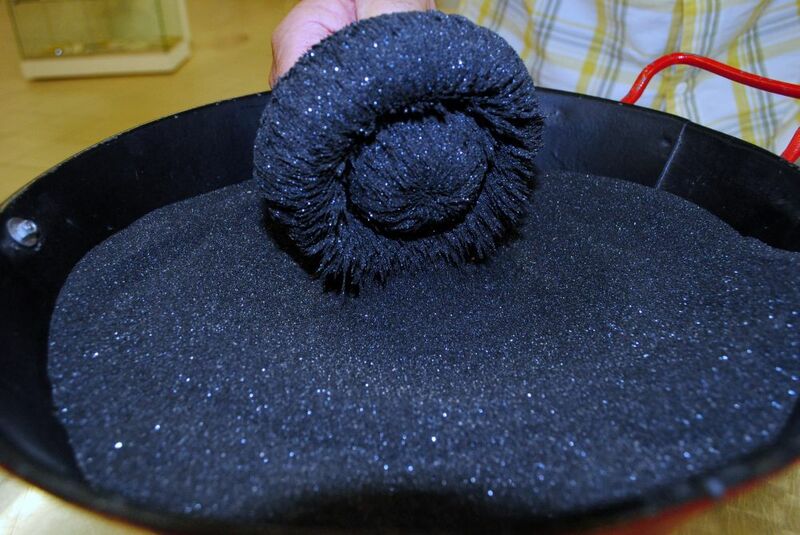 For example, I met a man from Germany, Now we've been friends for several years, and he gave me his entire collection of sand, because it is no longer able to do this. Its sand is also exhibited here. - The exhibition - it's all your pictures - very beautiful scenery, But the most striking photos grains, increased a hundred times. How do you manage? - And how is your wife reacted at the beginning for your gathering? - Do you know, this collection is cheaper, than to keep a horse or a mistress, Bernard laughs. - As, I'm retired, do not go to work, home all day. What to do? Care for the garden, the house? And then what? It is better to sit in the lab, engaged in business, than going to the bar, playing cards, drink beer. I must say, I was lucky - I live in the village, in a large farmhouse. We had a garage, now our machines are "asleep" in the yard under the open sky, and in the garage I arranged laboratory, built shelves, stands for a collection, I can show my guests Sands. 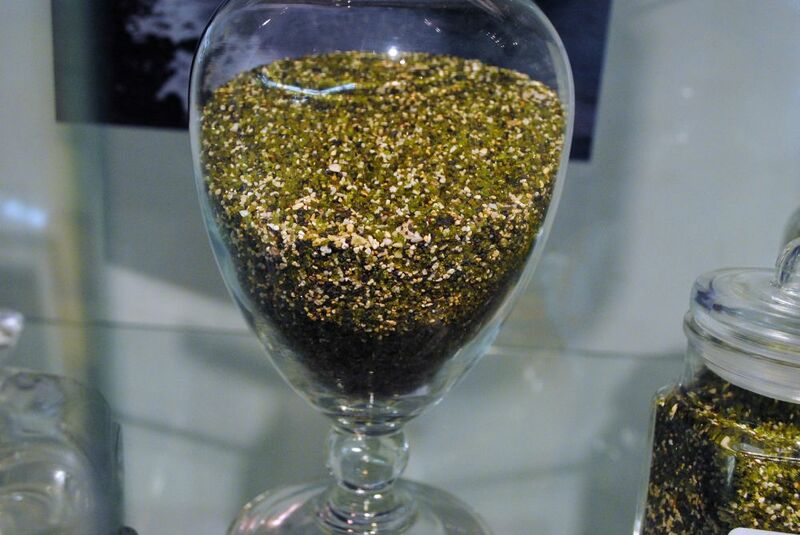 - Here are three types of sand from the beach in the cavalry Bonporto, they were taken at a distance 30 meters apart. Look, how they are different. - Honestly, I first heard the word "foraminifera", — I translate my interlocutor to another topic, - As you explained here, You can only get them from the bottom of the sea, they do not exist in the rivers, nor in the ocean, nor in the desert. When you dive and get them, they are still alive? Then his eyes lit Bernard Remo special shine, like all collectors of the world, when it touches an object of their passion. And I say goodbye to him. Previous PostNouvelles du Kazakhstan.Next PostSAND OF THE SEA Faluns in Doue La Fontaine.